We are pleased to announce an exciting new resource for homeowners across the GTA –the Metroland Home Improvement section, powered by eieihome.com! With Canadians spending upwards of $70-billion on home renovations, it’s important to inform those purchasing decisions with good quality information. That’s why Metroland and Canadian home improvement specialistseieihome.com have partnered to provide GTA homeowners with top quality news, information and inspiration. 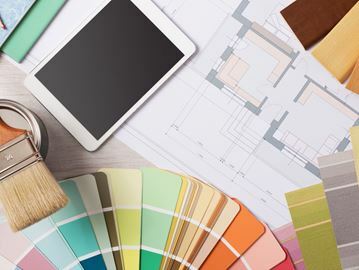 This new Home Improvement section will feature tips and information on everything from interior design and home renovations to home maintenance and repair. This new Home Improvement section has been divided into three unique categories, to ensure that readers have an easy time finding the information they want. How-To: Find tips on how to perform DIY repairs and maintenance tasks, learn how to choose a contractor for your next home renovation project, or see tutorials on home décor projects. Interior Renovations: This section contains valuable insights on improving your home’s interior. Whether you want to renovate your basement, select the right kitchen counter tops, or simply shop for a new duvet, you’ll find articles and inspiration here to help you out. Exterior Renovations: Of course your home’s exterior is just as important as its interior, so we’re filling this category with everything to keep your curb appeal at its best. This is where you can find tips and information about updating your doors and windows, information about landscaping, building a back deck, outdoor entertaining and more. With the state of the housing market keeping Canadians in their homes longer than ever before, interest in home improvement topics is at an all-time high. That’s why we’re proud to provide this brand new home improvement resource for our valued readers throughout the GTA and beyond!